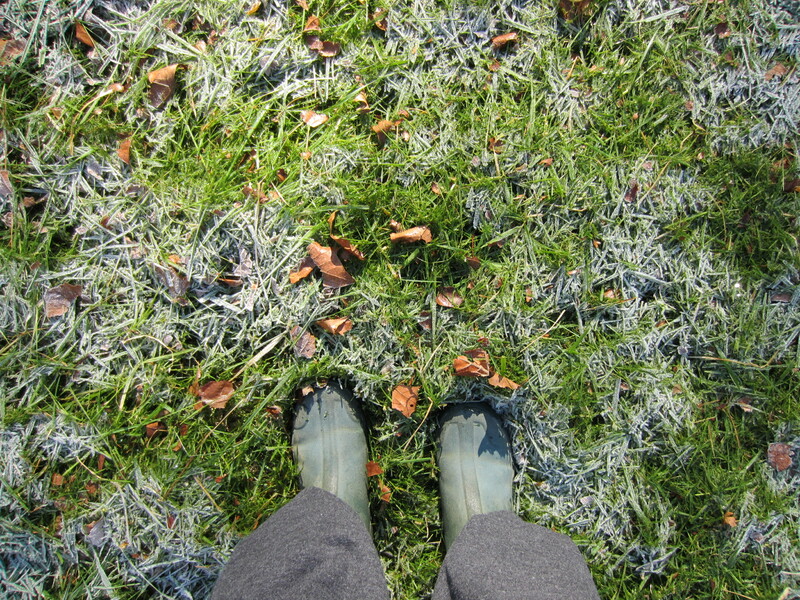 Lots of wind, freezing nights, and frosty mornings have challenged us over the past week or so. Not to mention very dry conditions exacerbated by the wind. We have not had rain in almost two weeks now, so our irrigation is running non-stop. 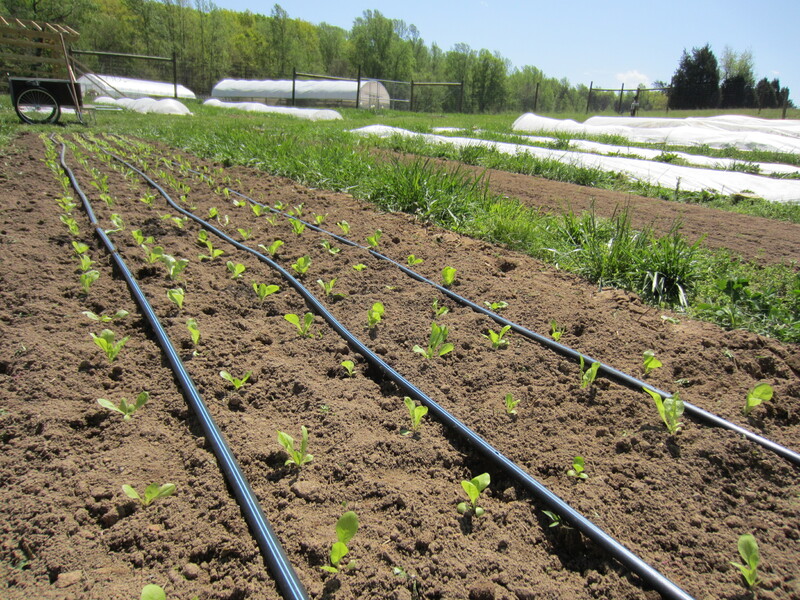 Some of our new growing areas don’t have irrigation on them yet, so I am hand-watering these areas. Very time-consuming. I saved a few flowers before the last hard freeze. 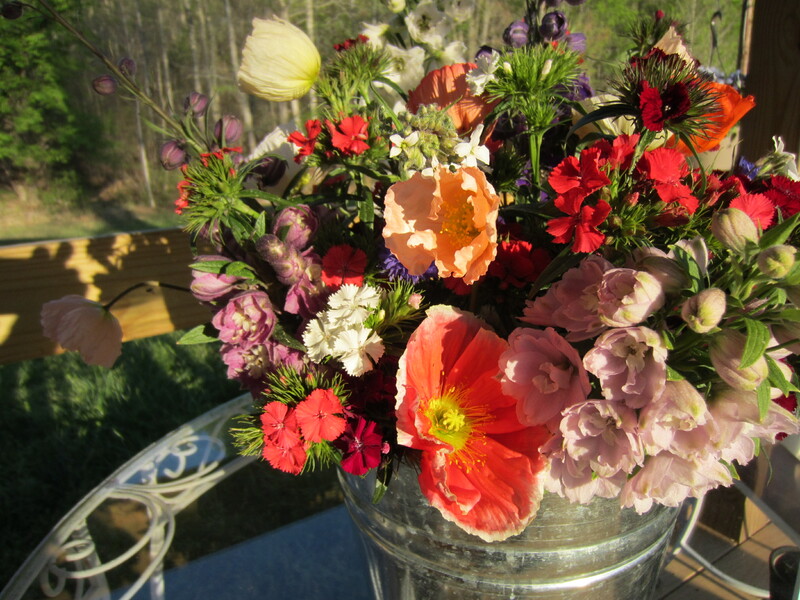 It is a joy having fresh flowers on the table again! Yesterday I had row covers blowing all over the place with the high winds. They are secured by rocks, but if the rocks are not heavy enough the wind can get underneath and rip the cover off the row. I spent a lot of time re-securing the rows, only to have the covers blow off again a while later. It was very frustrating. Finally I gave up and went inside. Came out just before dusk to try to secure them yet again. 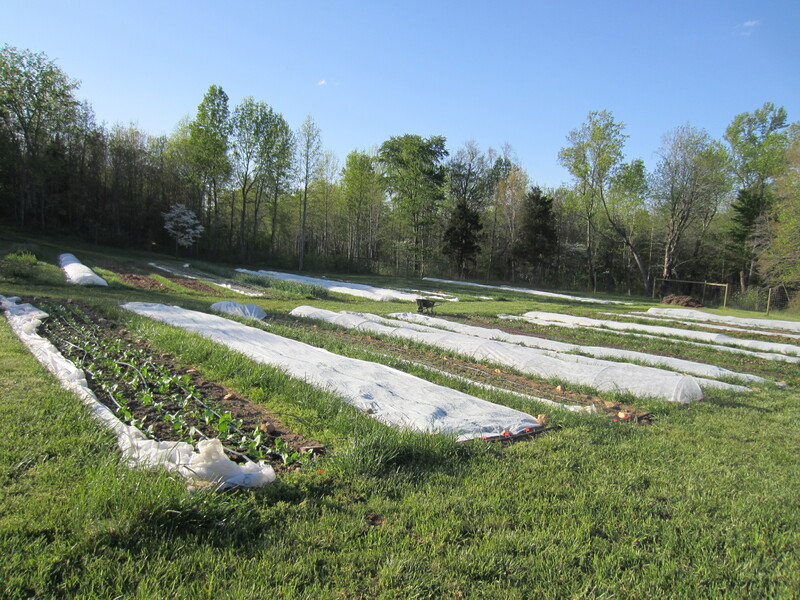 Luckily the wind had died down, so the crops were protected last night with the 32 degree weather. I still got some work done before the wind forced me inside. 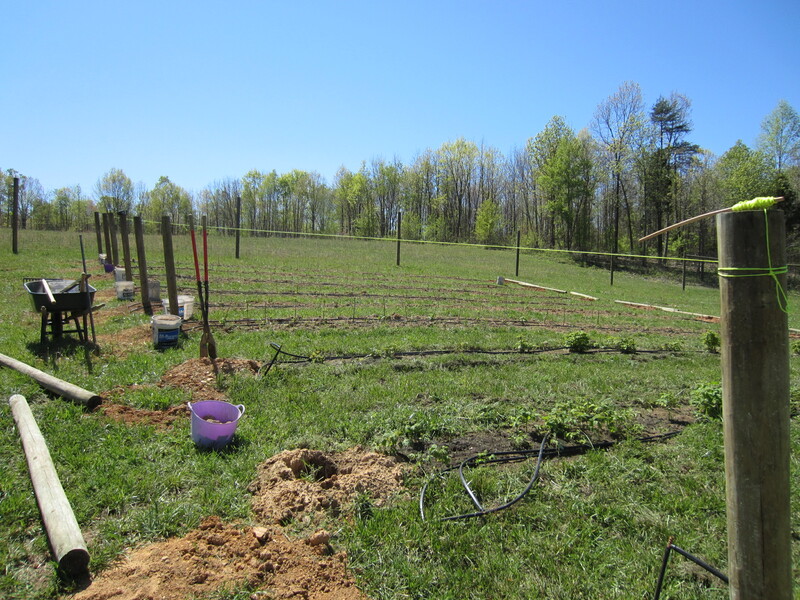 Gavin has been working on the raspberry trellis. The end posts are now complete, and ready for wire. It will be some time though before the raspberries need support. 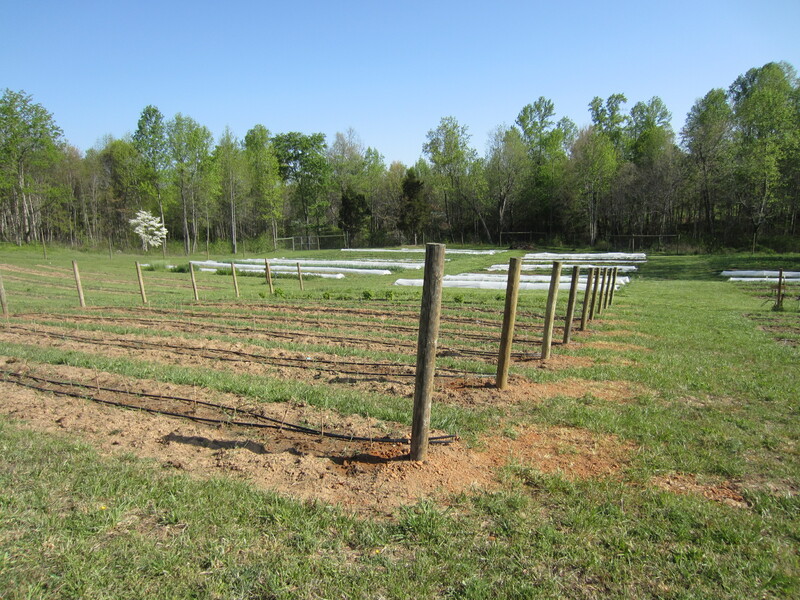 Our raspberry planting is four times the size it was last year, and with the new trellis to hold the canes off the ground we should have better yields. The wind and cold would be challenging. Hopefully spring is almost here with some consistency. I sure hope the raspberries are successful! Yum. The flowers are beautiful.